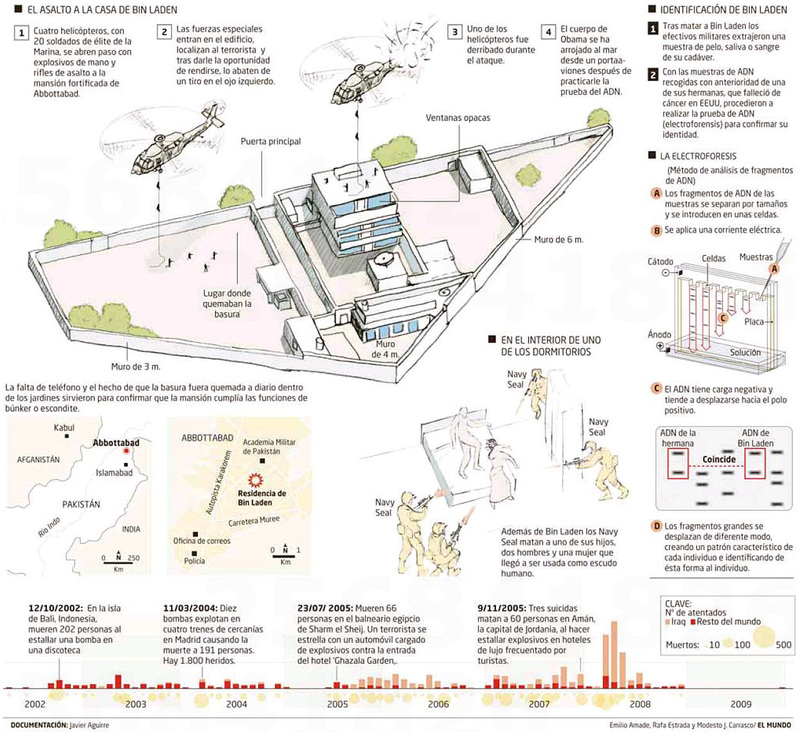 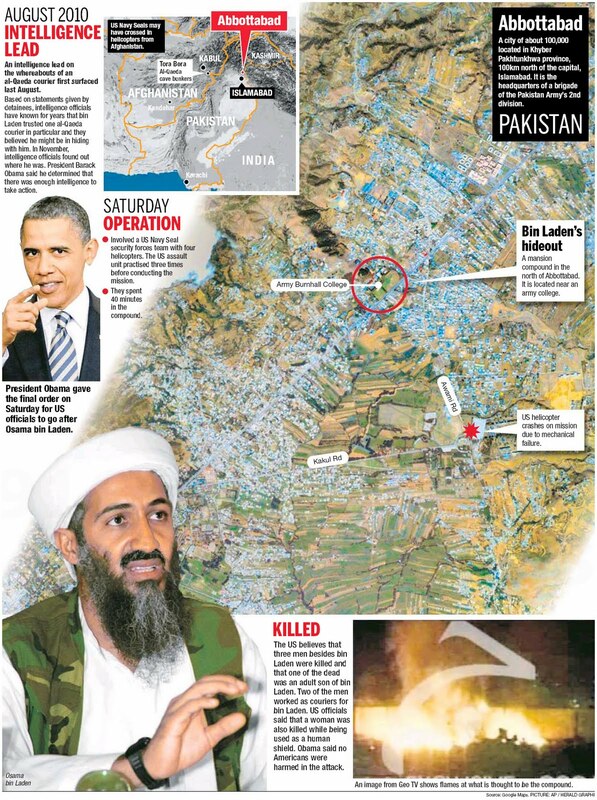 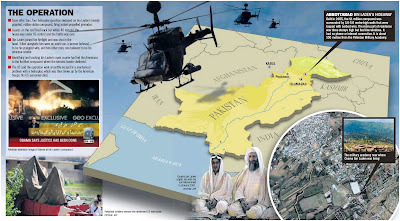 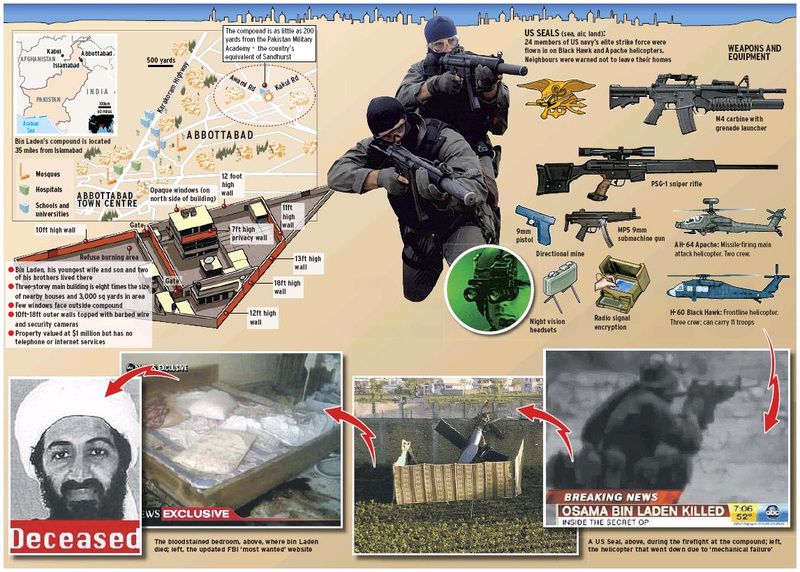 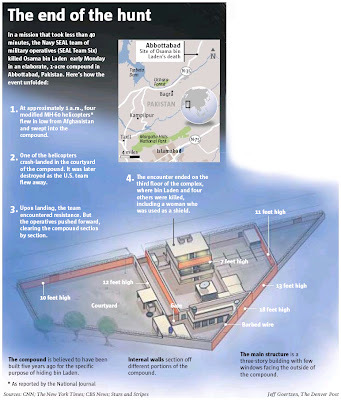 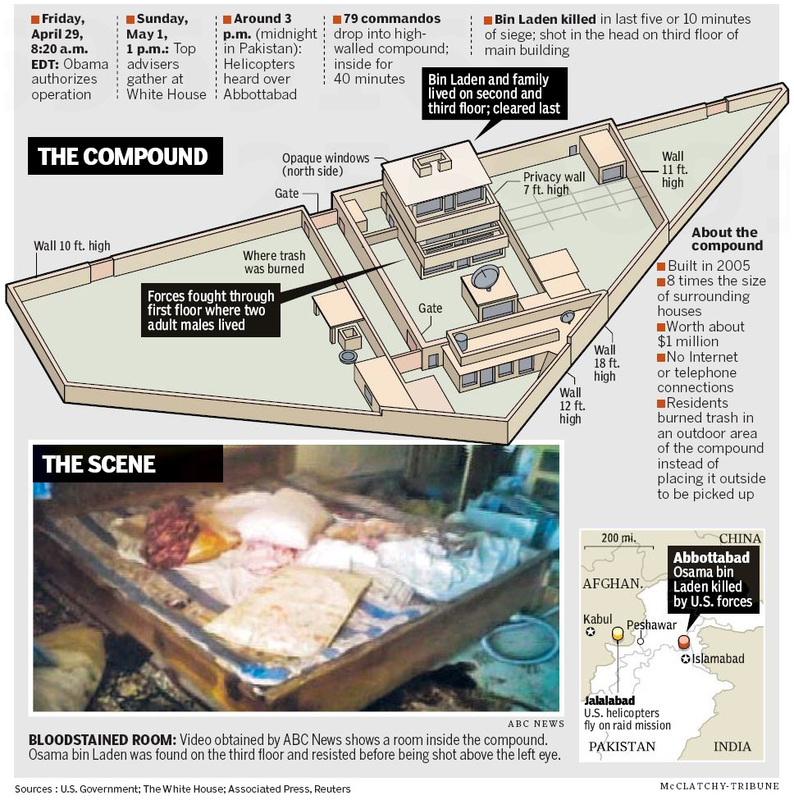 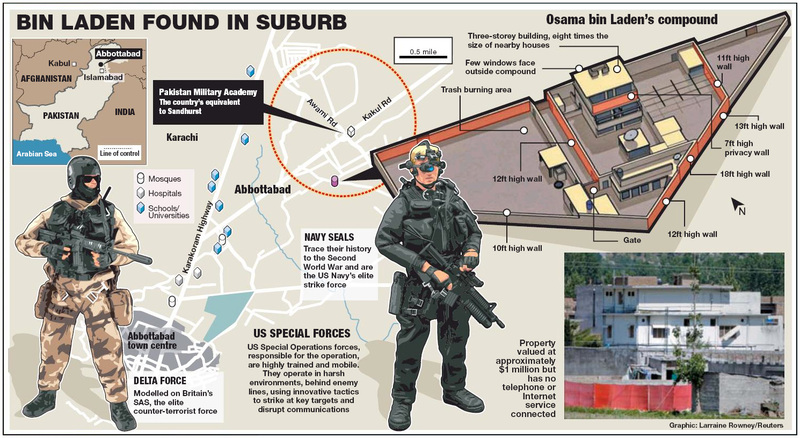 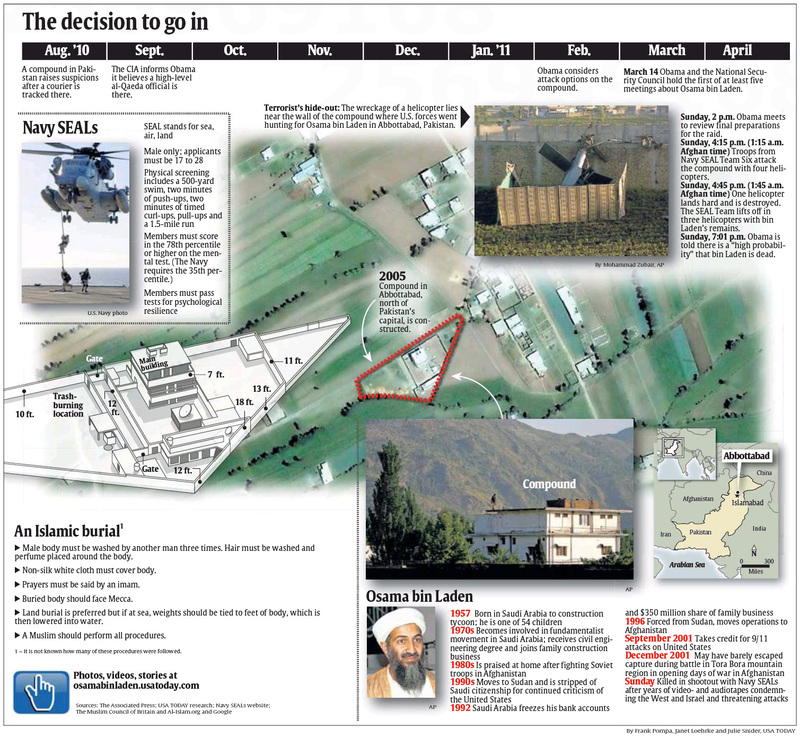 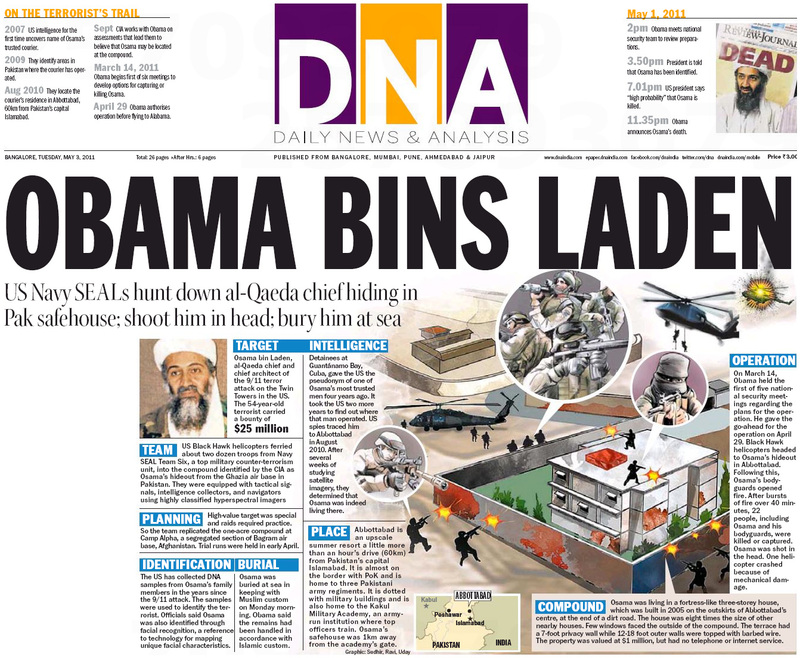 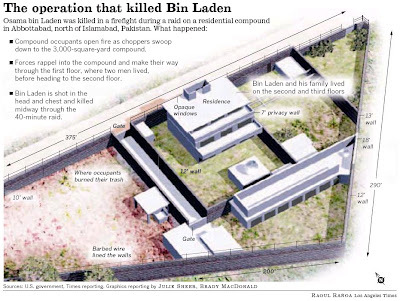 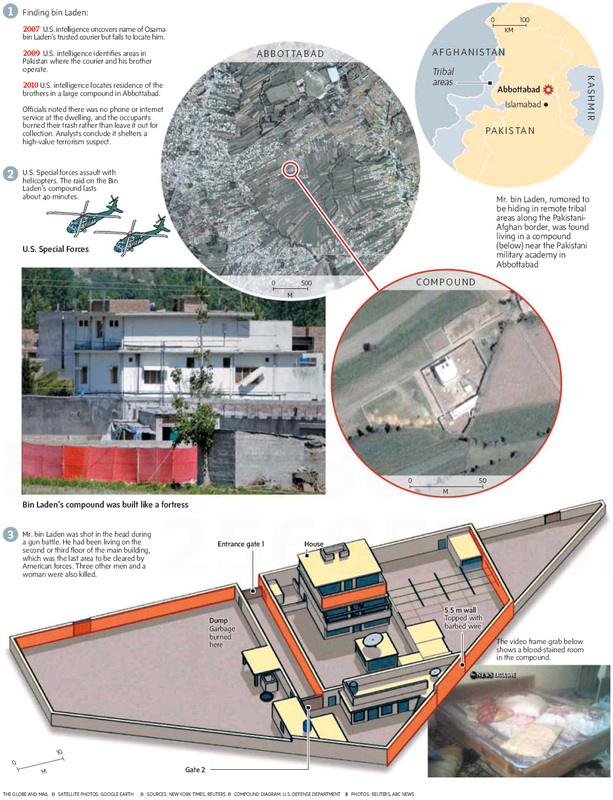 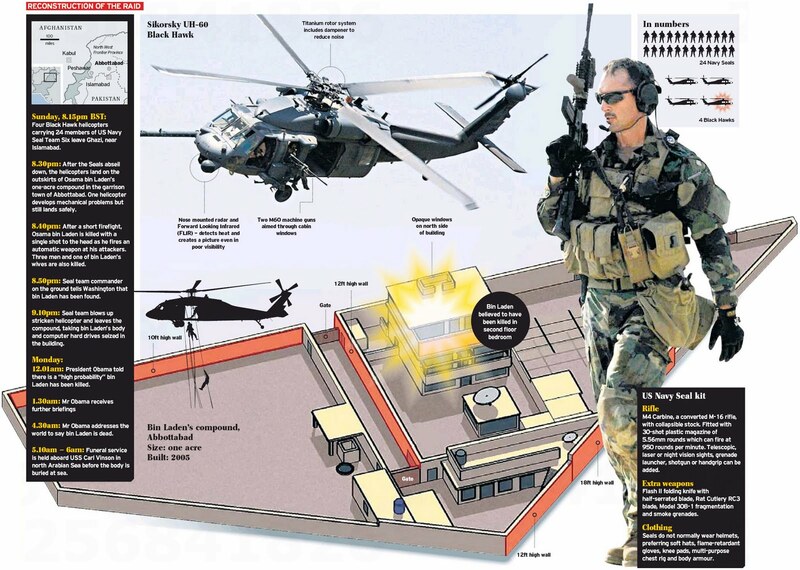 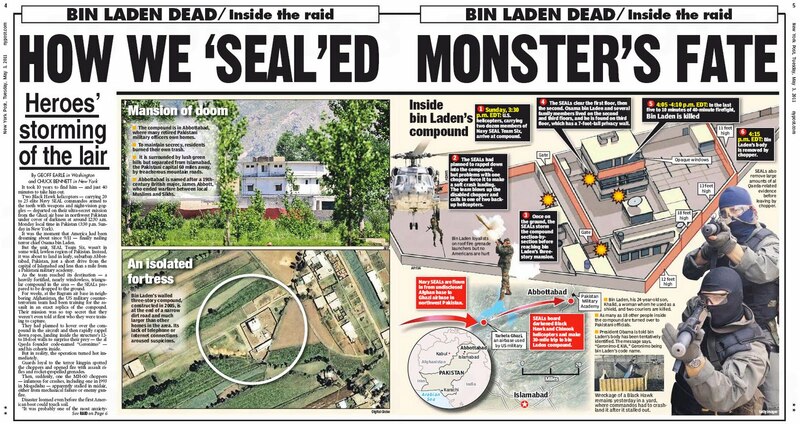 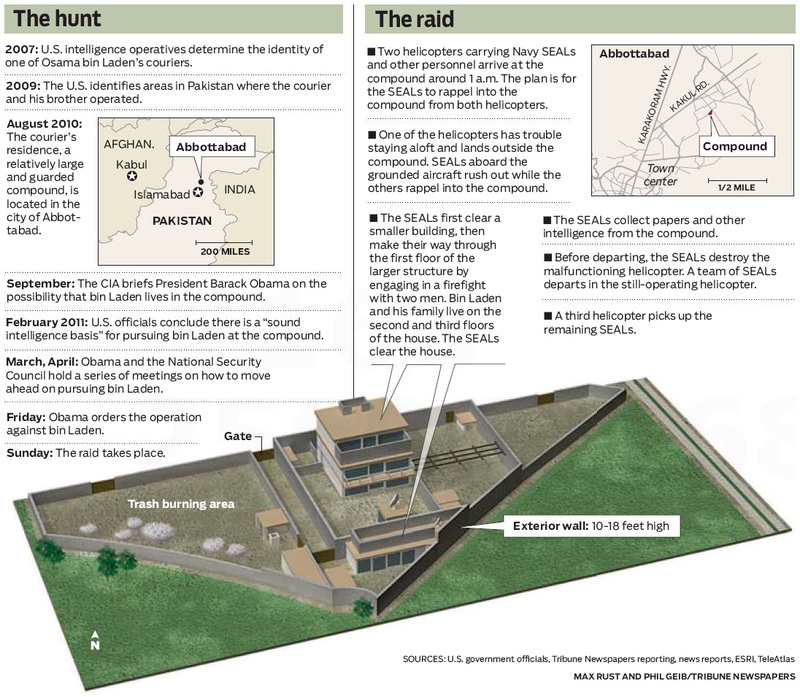 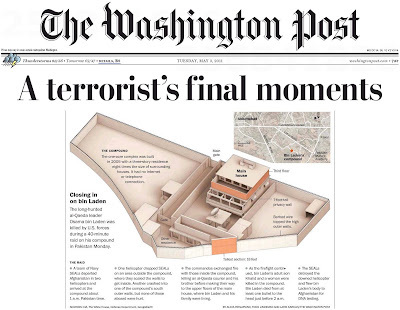 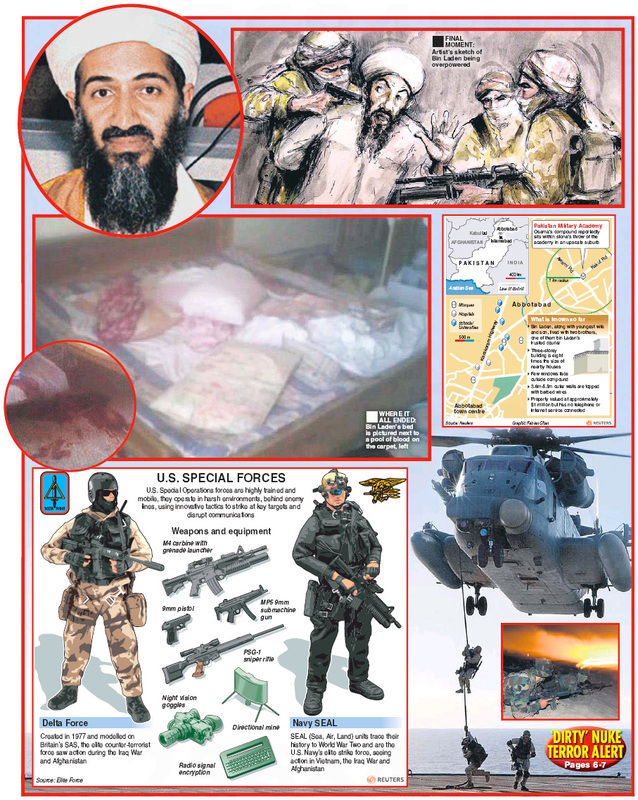 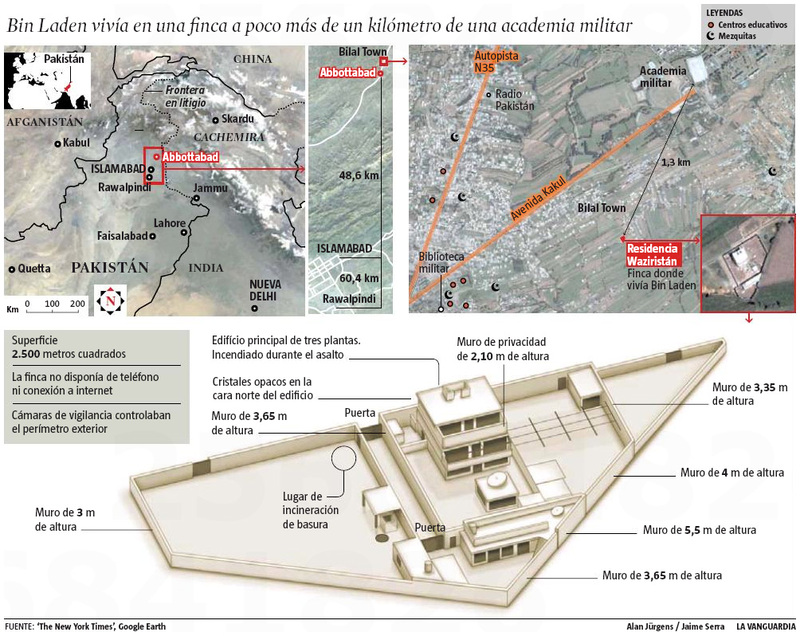 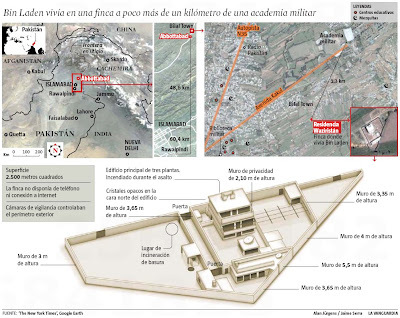 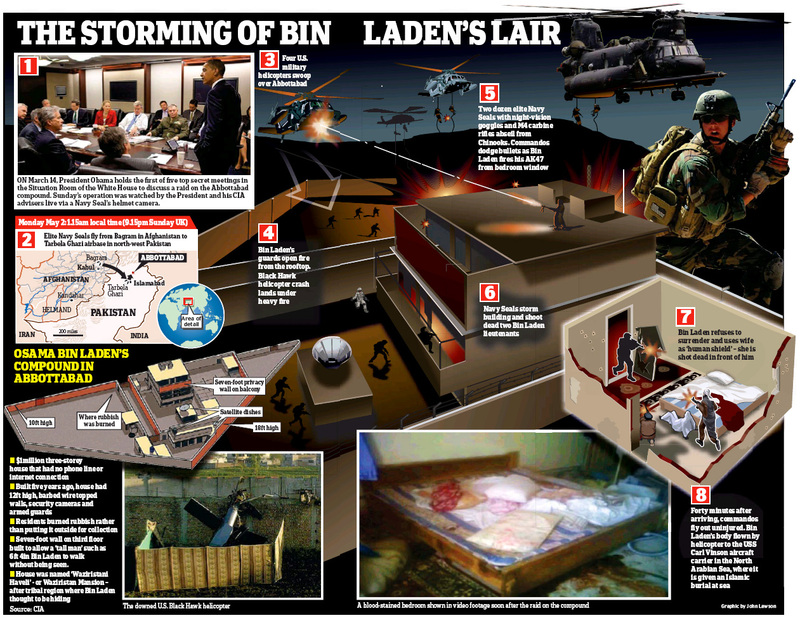 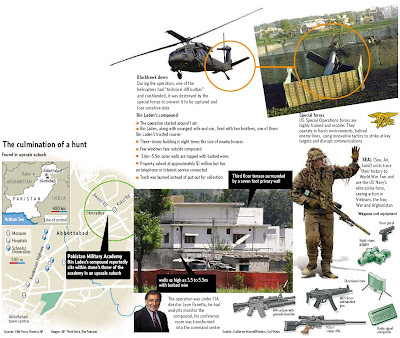 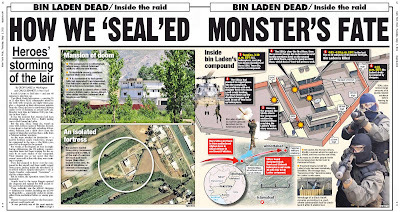 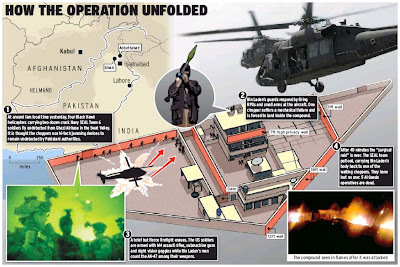 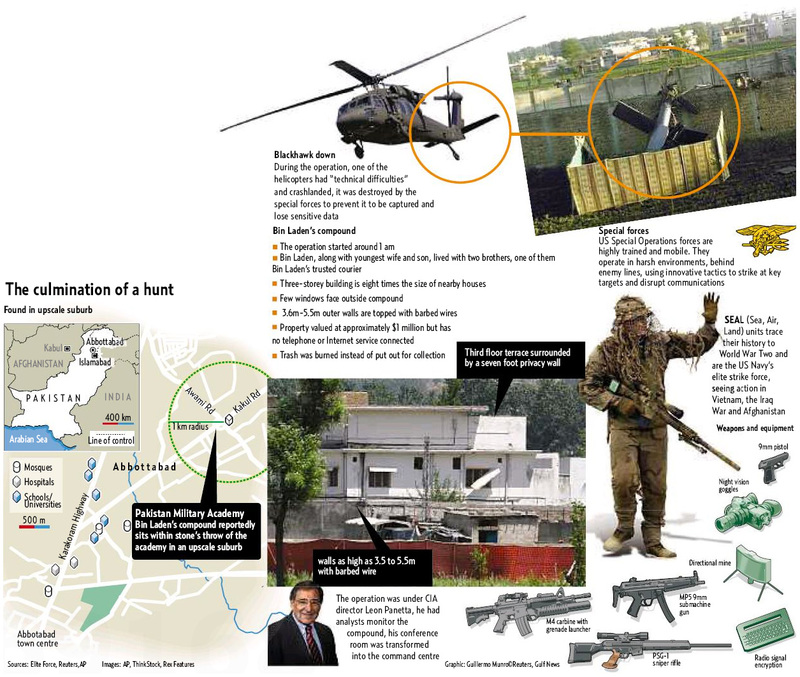 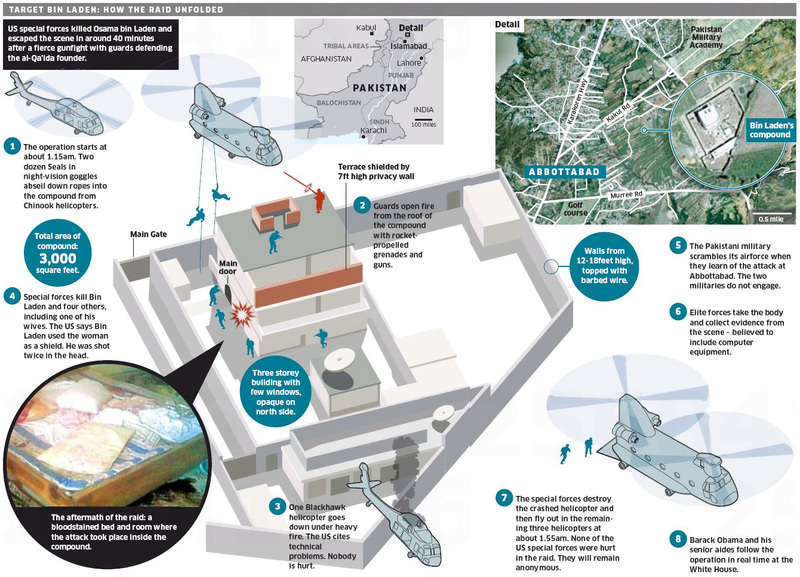 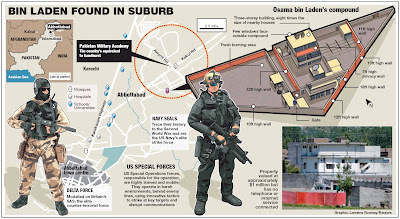 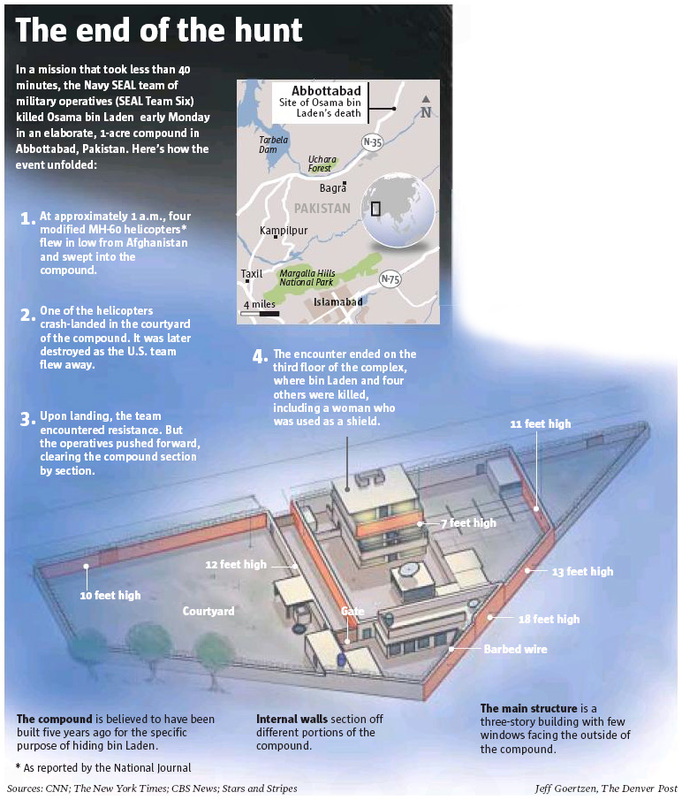 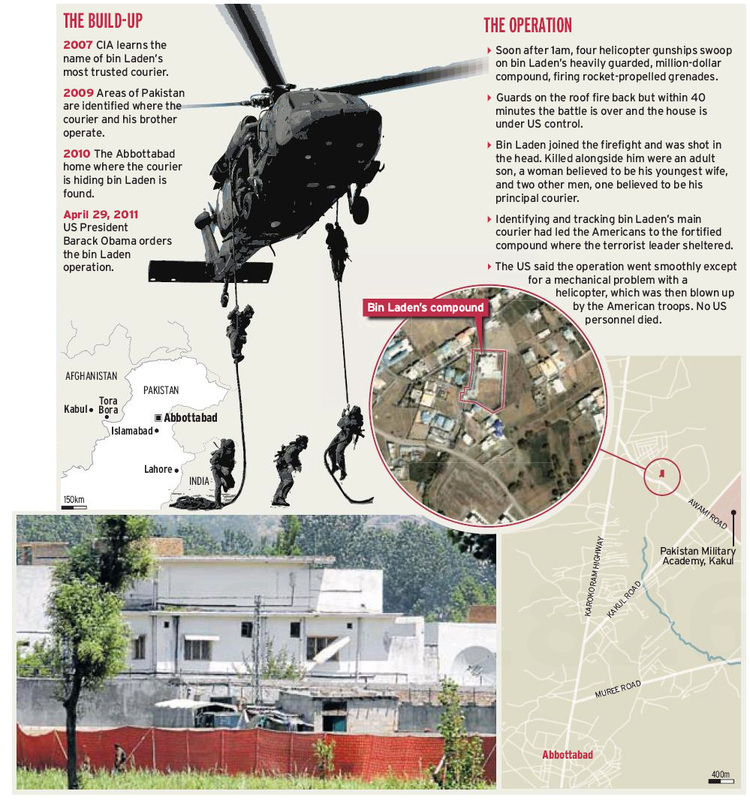 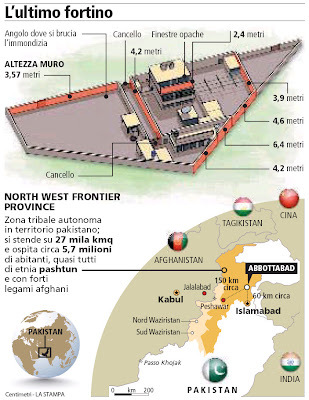 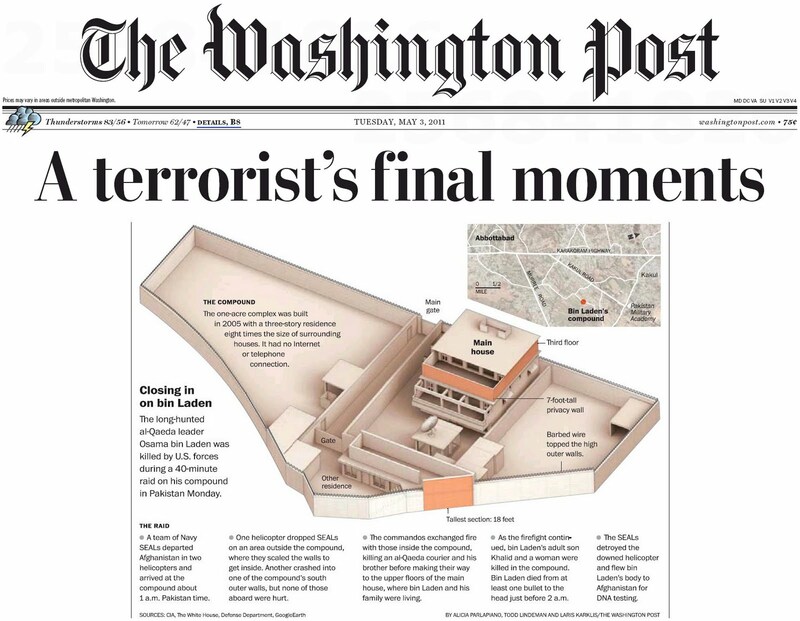 It was a hectic 24-hours or so for newspaper graphic desks around the world as they frantically tried to illustrate just how U.S. Special Forces killed Osama Bin Laden in Pakistan early Monday morning (local time). 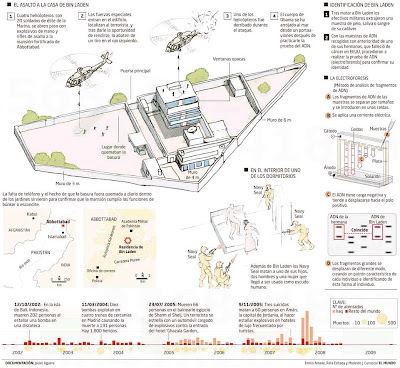 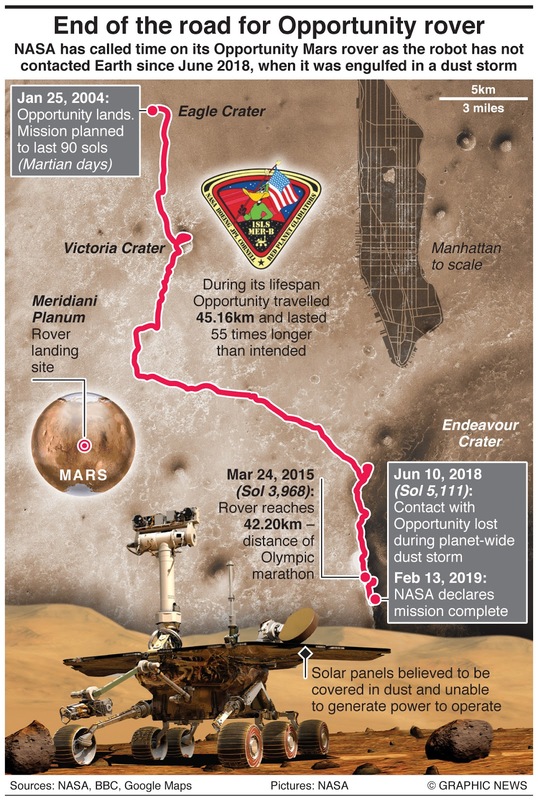 I thought it would be interesting to pull together a bunch of infographics from newspapers around the world and see how they each treated the subject. 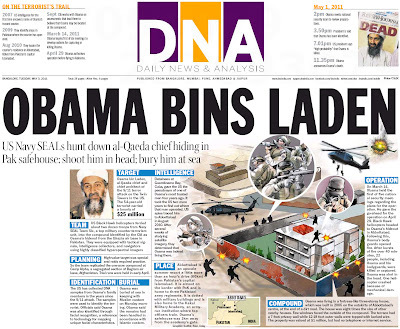 It's been an enlightening exercise. 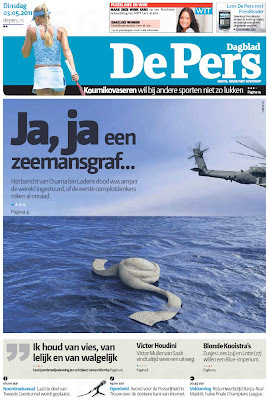 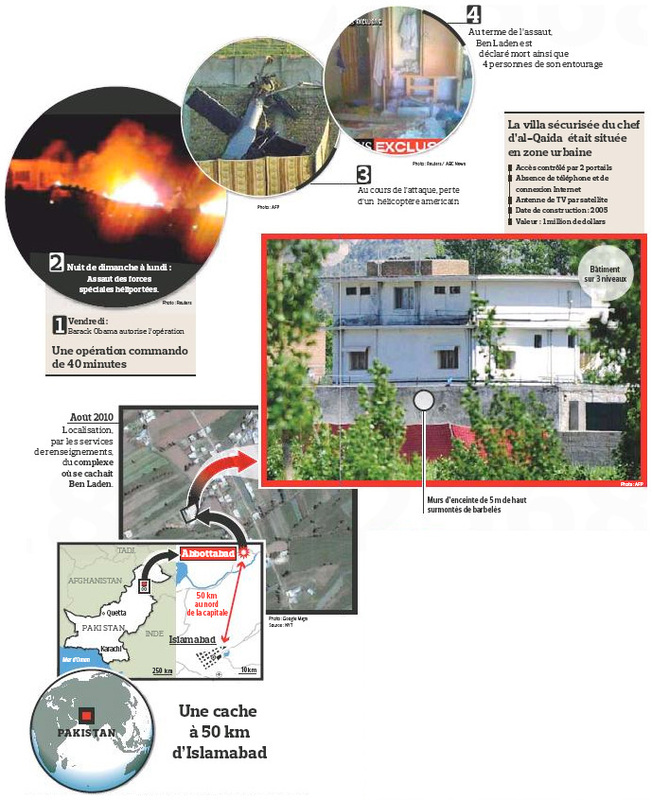 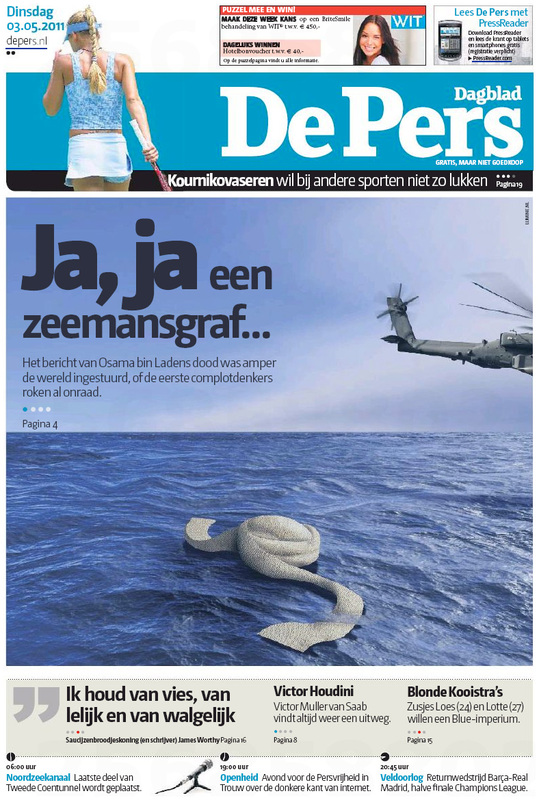 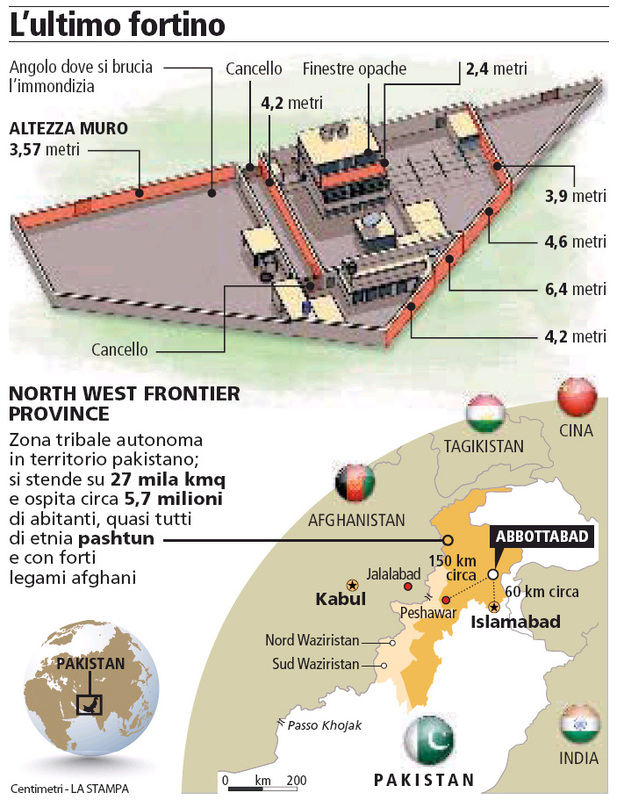 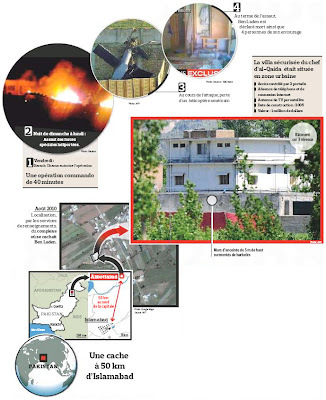 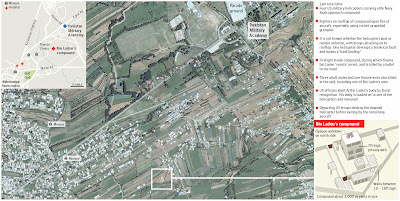 Some titles ran the barest of locator maps or relied entirely on wire graphics, others reissued or redrew the official U.S. Defense Department SketchUp model (like I did), others just plainly made it all up, and one European newspaper appeared to be taking the mickey with a highly unusual page one Photoshop do-up. 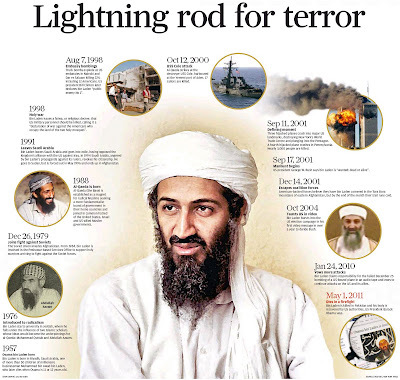 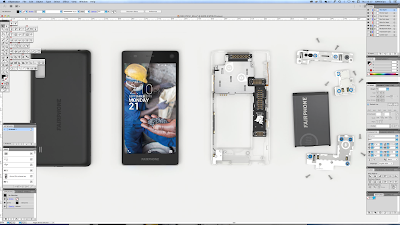 The Wall Street Journal, U.S.A.